Teaching others is a rare gift, and there is nothing like seeing your students grow and develop into world-class divers. 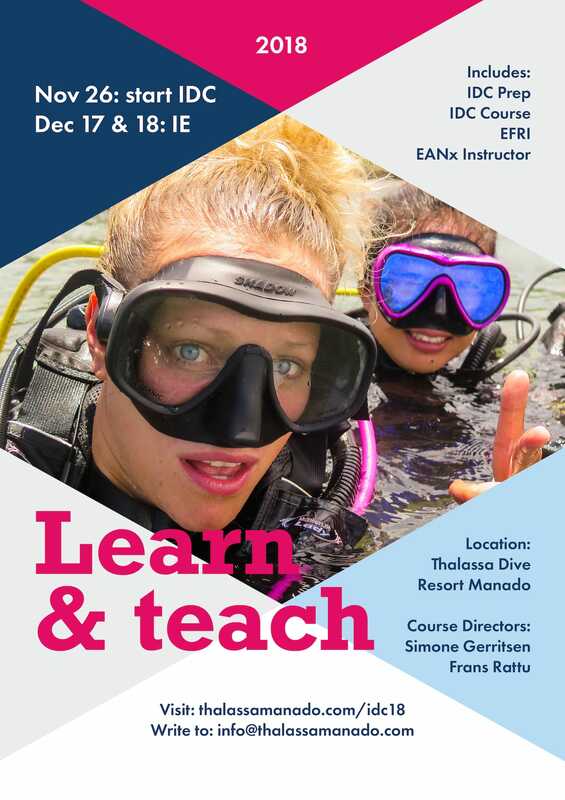 This experience can be yours by taking our Instructor Development Course under the guidance of PADI Course Directors Frans Rattu and Simone Gerritsen. With so much experience under one roof, you’re guaranteed a productive and fun IDC! The Instructors’ Evaluation will most likely take place on December 17th and 18th, at a location to be specified during your IDC. Of course, we will keep you up to date!